Do you have erosion or storm water problems on your property? We can work with you to divert and manage storm water before it damages your property and the environment. 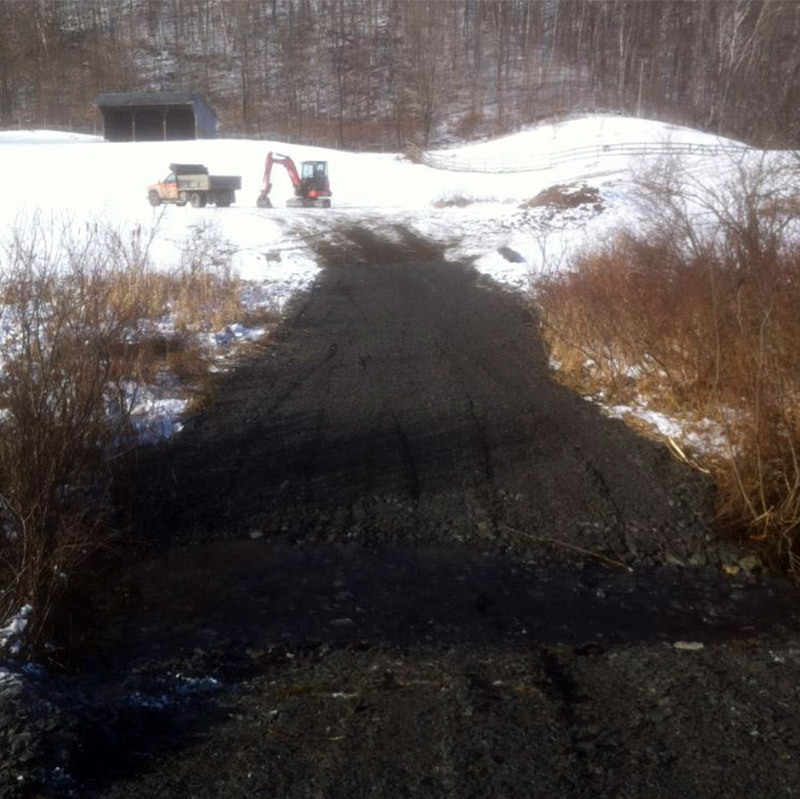 We perform simple drainage improvements, storm damage repairs, and state-approved bank stabilization work. 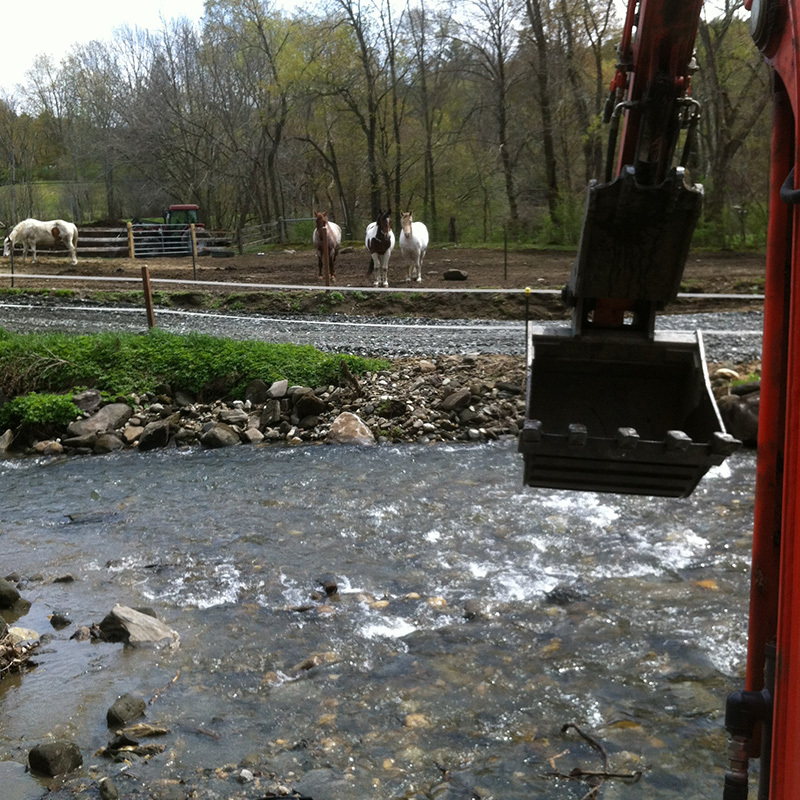 We have also stabilized and improved stream crossings for livestock, in order to lessen erosion and stream pollution.